They’ve given their lives to the Holy Grail – we devote an entire show to reviewing it! 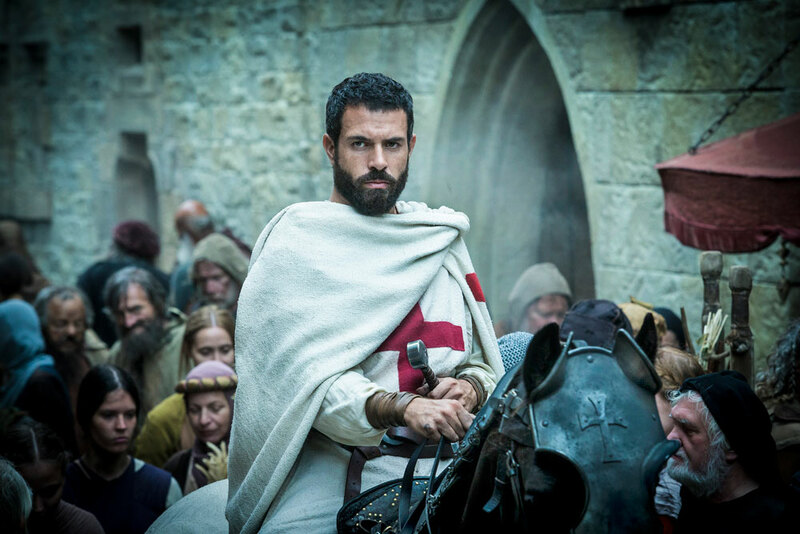 Secrets of the Sire and HISTORY team up for this special review: HISTORY TV Series Knightfall. Is this the new Game of Thrones or is that the impossible quest? PLUS: We welcome creator DaiQuan Cain on to talk about his Kickstarter ‘Silent Descendants and we play ‘Trailer Truth or Trash’ on Marvel’s Infinity War trailer. HISTORY TV Series Knightfall: What you need to know and our reaction to the show. The Knights Templar were a powerful, wealthy and mysterious military order of the Middle Ages that existed for nearly two centuries following the official endorsement of the Roman Catholic Church in 1129. Templar knights were among the most skilled fighting units of the Crusades, while non-combatant members managed a large economic infrastructure throughout Christendom. Support for the order faded following the loss of the Holy Land, and King Phillip IV of France – thought to be deeply indebted to the Knights – used this as an opportunity to disband the order. The swift and vicious disappearance of the Knights Templar created an allure of mystery that gave rise to the legends that keep their story alive today. Action-Packed History—Blending fictional characters with complex storylines rooted in fact, this is the real, bloody, history of the mysterious Knights Templar – humanity’s original Jedi Knights. Quest for the Holy Grail—The driving force behind Landry’s journey in S1 is his quest to recover the Holy Grail, believed to possess mystical powers. Everyone wants this power for their own benefit. Blending new characters with real people and places, Knightfall tells the story of the beginning of the end of the Knights Templar. Opening at Siege of Acre in 1291, the show follows Landry, a warrior monk of the Crusades who has pledged his life to the order and the protection of Christian pilgrims, and his fellow knights, Tancrede and Gawain as they face the loss of the Holy Land and the Holy Grail. Landry’s faith in God and himself is tested as he becomes the leader of the Knights Templar and embarks on the quest to recover the legendary Holy Grail. As the Knights begin to clash with King Philip of France and Pope Boniface VIII, relationships are tested and loyalty is questioned in this epic battle of belief, desire, betrayal and revenge. 2. Game of Thrones vs Knightfall: How are they alike? How are they different/stand on its own. Can a show with no conceivable ending (the Holy Grail, to our knowledge has never been found and the Knights of the Templar fade into history) engage viewers on a weekly basis? NEXT WEEK: We go inside Riverdale with Bleeding Cool’s expert Lauren Sisselman joining us to talk about the hit CW show!